Do you want to wear a veil? Veils have been worn for centuries all across the world and until this day are commonly seen as a bridal tradition. Brides always ask us if they should wear a veil or not. 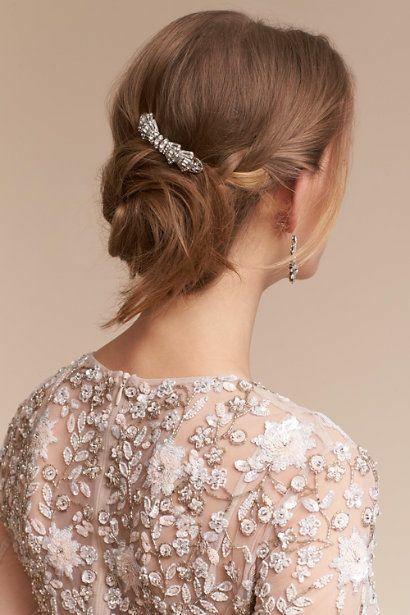 We always recommend trying veils with your favorite wedding gowns to see if you love it. 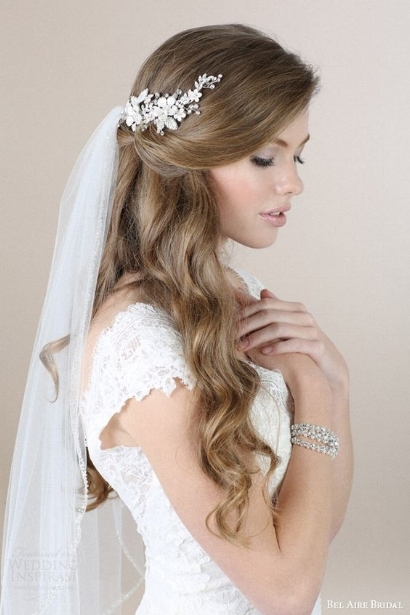 There are so many different variations of veils that are guaranteed to perfect your look. Veils come in all different cuts and designs (lace, bling, silk, horsehair, etc.) 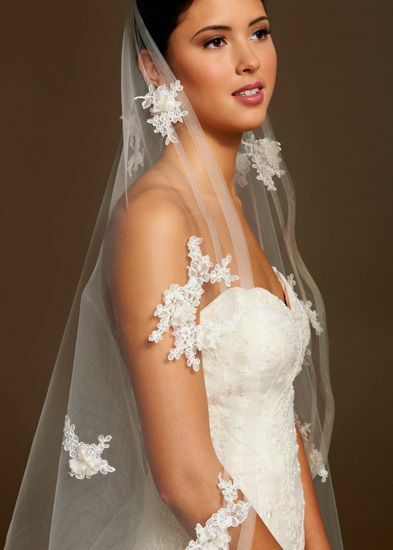 and of course if you're wanting to combine your favorite looks, there are always options to customize a veil. Blushers are a very popular topic of discussion. Traditionally, the bride has a blusher attached to a veil that goes over her face until she is "unveiled" at the ceremony. Wearing a blusher is all about the brides preference, and not required. Some brides like the effect of extra volume that the double layer creates without placing the blusher over the face. Wanting to try on veils? Book your accessory appointment today! We are having a Toni Federici Trunk Show June 8th-17th. Our shop has over 100 veils, and if you can't find your perfect one, Toni Federici can customize your perfect veil! 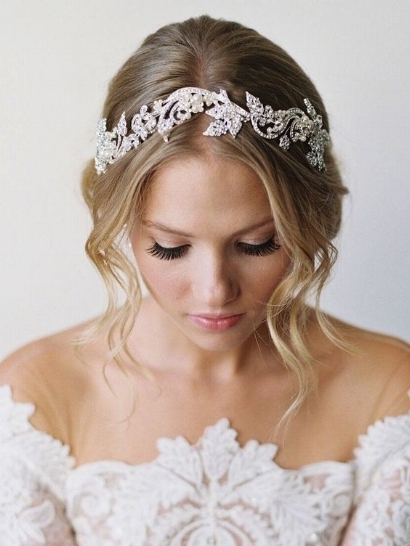 Call us 858-523-9254 with any questions and to make your accessory appointment with our bridal stylists. So you've just said yes! Congratulations on your engagement! Now it's time to dive into wedding planning. 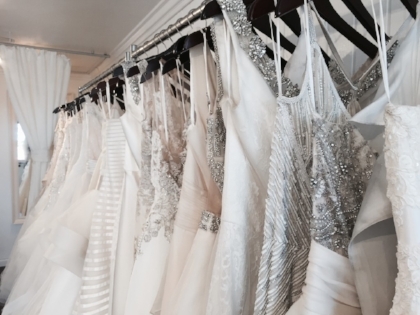 Shopping for a gown is one of the most exciting parts of planning a wedding. The entire process of gown shopping is about 8 months, so it's never too early to begin the search for the perfect dress. :) We've broken down the timeline so you're prepared to find THE ONE! Special gown orders begin at $1,500. Almost all gowns are made to order, so it takes 4-6 months for the dress to come in. If your wedding date falls within that 4-6 month time frame, don't worry! We'll walk you through all your options to see if any rush fees apply. There are different rush fees that will help speed up the production on your dress. The Bustle offers various rush options depending on the designer and the gown you fall in love with. Remember, alterations are always needed to achieve the perfect fit. Gown sizing is determined by your current measurements. We always recommended to go with the largest measurement because wedding gowns are made to be taken in, or let out if needed. Alterations will begin 6-8 weeks before your wedding.